After a long, stifling summer here in England, the weather has thankfully taken a turn for the cooler over the past month. Now we’re almost through September, and it’s finally fall! Or autumn, as you’d have it. This tag is unique for me in that it’s the first I’ve been tagged for which started out in the BookTubing community–in other words, through videos rather than posts. Since I don’t use YouTube I’ll be giving my rendition in blog post form. Fortunately, the questions transfer well across media. In fall, the air is crisp and clear | Name a book with a vivid setting! A Spark of White Fire by Sangu Mandanna | Epic space settings don’t get any more epic than they are in this book. I’ll admit I may be a little bit dazzled by the grand scale of its two spaceship kingdoms and regal palaces, which serve as a fitting backdrop for a seriously explosive story of jealousy and fate. Nature is beautiful…but also dying | Name a book that is beautifully written, but also deals with a heavy topic like loss or grief. Colour Me In by Lydia Ruffles | Amongst YA contemporary authors, Lydia Ruffles has some of the most evocative, haunting prose that bleeds with emotion and makes you feel a million things. Colour Me In follows Arlo after the death of his best friend through his escape to Japan and subsequent journey of self-discovery with the free-spirited Mizuki. Along with Ruffles’s other novel, it’s one of the only slow-paced novels I can say I truly loved, and that’s thanks in no small part to the beautiful writing. Fall is back to school season | Share a non-fiction book that taught you something new. Butterfly by Yusra Mardini | There are other non-fiction books that have taught me more factually, but there’s a reason Butterfly is my go-to answer for most prompts regarding nonfiction books. That it reads like an adventure novel while simultaneously imparting a noteworthy message on hope and resilience makes me eager to recommend it to those who mostly read fiction. So while I may not have learned as many hard facts from this memoir as I did from my uni set texts, it’s left a real impression on me to be optimistic about the best that people are capable of when they need to be. In order to keep warm, it’s good to spend some time with the people we love | Name a fictional family/household/friend-group that you’d like to be a part of. The Phoenix Riders, Wildcard by Marie Lu | They’re a really chill squad who make millions playing video games. Judge me if you will but I’d be in for the cash and the games alone. That they’re also in general a cool bunch doesn’t hurt at all. If you’re wondering why I specified the team from Wildcard rather than the first book, it’s because I absolutely, absolutely need two new additions on board: Tremaine AND the other member, whose identity shall not be spoiled, who joins the team in their very last Warcross game. The colourful leaves are piling up on the ground | Show us a pile of fall-coloured spines! I don’t own physical copies of most of the books I read, but I hope I’ve scrounged up an adequate collection of red, yellow and orange. Fall is the perfect time for some storytelling by the fireside | Share a book wherein somebody is telling a story. The Exact Opposite of Okay by Laura Steven | This book is narrated exclusively through blog posts written by protagonist Izzy O’Neill. Not only that, the posts have been edited with snarky comments from after the whole ordeal is over with, because the premise is that she’s actually publishing them as her memoir of sorts. It’s a nice framing device where the story is consciously processed through her perspective–and what a hilarious, indefatigable perspective that is. The nights are getting darker | Share a dark, creepy read. 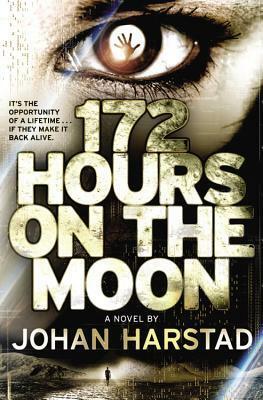 172 Hours on the Moon by Johan Harstad | 172 Hours, or DARLAH as it’s known in the original Norwegian, has been for years the most memorable horror novel I’ve read. The premise is a fairly straightforward alien horror plot, where three teenagers are chosen to accompany NASA astronauts on the first moon mission in decades. Except they’re not the only ones up there. Don’t be deceived by the seeming simplicity. For a kids’ book, it’s surprisingly dark. And creepy. And everything goes wrong for the cast, so that you keep hoping that somehow they’ll make it through alive but deep down fearing the worst. The days are getting colder | Name a short, heartwarming read that could warm up somebody’s cold and rainy day. I Have Lost My Way by Gayle Forman | A cold and rainy day sounds like exactly what Freya, Harun and Nathaniel are going through at the start of this book. Over the course of one fateful day in New York City, they make friends and learn lessons showing that there are few holes deep enough that you can’t dig yourself out with the help of other people who care. I Have Lost My Way is a quick contemporary read I’d recommend when you feel the need to restore your faith in humanity, or just when you want a good story. Fall returns every year | Name an old favourite that you’d like to return to soon. A Game of Thrones by George R.R. Martin | I rarely reread books. More often, I reread certain passages that I remember enjoying, or skim past instalments of a series if I need to refresh my memory before a new release. 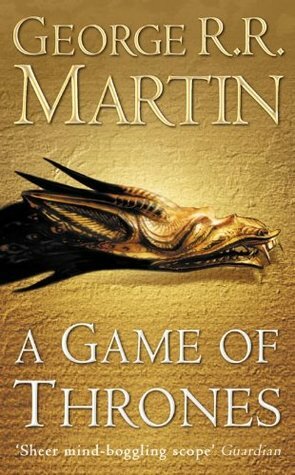 When I say that I’d like to return to A Game of Thrones and the A Song of Ice and Fire series, what I really mean is that I’d like a reason to do so. To go back and refresh my memory of what happened, cause it’s been a long while since I read these books. I wonder what that reason could be? Fall is the perfect time for cozy reading nights | Share your favourite cozy reading accessories! Hmm, I wouldn’t say I have many reading accessories, or in fact reading habits at all! I read whenever I can scrape the time, whether that’s in bed before sleeping or on the train. However, I love the two (!) preorder swag bookmarks that I own, of This Mortal Coil by Emily Suvada and The Book of M by Peng Shepherd. I’m especially protective of Shepherd’s, because I didn’t even preorder her book–I sent her an email in which I told her how much I loved them, and get this, she sent me one for free. Trans-Atlantic shipping is not cheap, guys, as I know by the sticker on the package of my first physical ARC that arrived just yesterday (hype!). So, for The Book of M, a lovely author as well as a lovely book. This was quite the fun, relaxing tag with a couple unique prompts. It was cool that a few of them got into the visual side of things (fall-themed spines, favourite accessories), as I so rarely take photos of my physical books. What did you think of my answers? I’d love to hear your thoughts in the comments! Feel free to do the tag if it interests you, or if autumn is your favourite season like it is mine, whether or not you’ve been nominated. I’d love to see your answers! As usual, thanks for reading, and until next time. Next time or the time after that will very likely be at freshers’ year of uni for me, and what that means is much less time to read and blog. But I will most definitely still be around, hopefully with new insights from finally starting my course. I loved A Spark of White Fire! I need more epic space operas in my life. I wouldn’t say it’s like it 100%, but my favorite spacey series is The Xenith Trilogy by Chani Lynn Feener. Only the first two are out so far. It’s indulgent, haha. I’m excited for the sequel too!! I feel like this book was the perfect setup; I’m so excited to see where it goes from here! Thanks for the recommendation! I recall seeing this book around and I’ll keep it in mind for sure. I Have Lost My Way is a great choice, it’s pretty short so you can get through it as quickly as a day if you decide to pick it up. I’ll watch out for your thoughts! You’re welcome! I hope I haven’t stolen your answers, I tried to think of another creepy book but none of them had the same scary factor. Thanks for the tag, Alyssa! This looks fun and super seasonal! It’s so sweet that the author sent you the bookmark. I got it because of the preorder bonus 😀 And I wouldn’t have thought Butterfly is a non-fiction from the cover. It sounds intriguing! Thanks for the tag. This looks like a fun one to do and will be perfect since it finally has begun to feel like fall in my city! You’re welcome! I love that moment when you can first sense the temperature dropping. It’s such a nice reprieve after summer, especially when summer has been as long and hot as this past one. Oh yeah I only know a little about 2001: A Space Odyssey but it seems so creepy. I hate books like that where a Lovecraftian horror toys with all the characters but at the same time I’m so fascinated by them.